Those observing the Northern Lights in Norway over the weekend were treated not only to the spectacular aurora, but also reported strange configurations of colourful lights moving through the sky. While those who witnessed it could be forgiven for preparing to pledge allegiance to some new extra-terrestrial conquistadors, Nasa has owned up and explained it was in fact a pair of their rockets which created the unusual phenomenon. 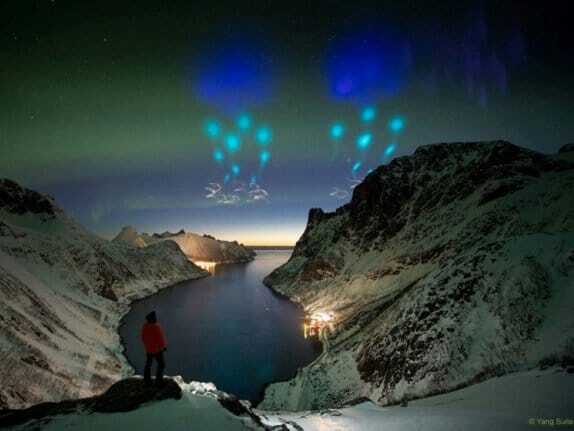 Continue reading ‘Strange blue lights’ spotted over Arctic Circle explained by Nasa at Alien UFO Sightings.